Indo-Tibetian Border Police (ITBP) Has Recently published Recruitment of Sub Inspector/Head Constable/Constable (Telecom) Posts 390 Posts. Those candidates who are interested in this vacancy they can read the official advertisement and apply before last date of online apply 03-10-2018, Brief information mention below. 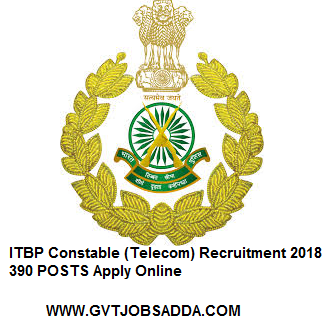 For more detailed information about Educational Qualification & Age limit in ITBP Constable (Telecom) Recruitment 2018 candidate can check the Official Notification.